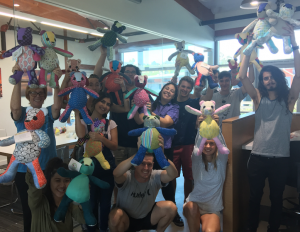 As part of their community service/outreach, this past Sunday, October 8, 2017, Cohort 9 of the BSCRIP Program stuffed and sewed RARE Bears for the organization RARE Science. RARE Science is a non-profit research organization working to accelerate the identification of more immediate therapeutic solutions for kids with rare disease. Their mission is “Accelerating cures for RARE Kids.” The approach is to empower patient families and foundations with the tools/resources they need to drive forward finding a cure. BSCRIP Cohort 9 proudly showing off the RARE Bears they completed. RARE Science has developed the RARE Bear program, a grassroots community-driven outreach for kids with rare diseases. 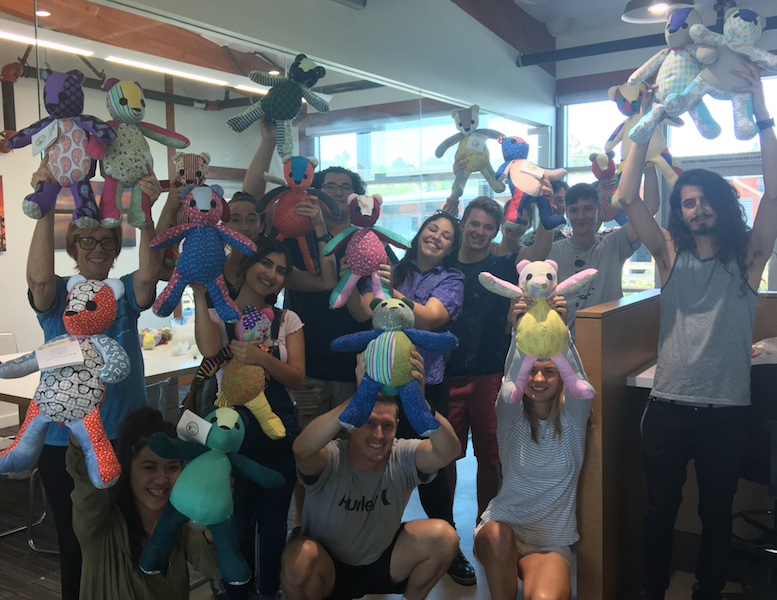 Community volunteers create one-of-a-kind teddy bears for one-of-a-kind “RARE” kids. These bears are shipped all over the world to those children who participate in RARE Science.